Sometimes called a Moving Lights view (ML View) this screen will display each intelligent or multi-attribute fixture grouped by type. 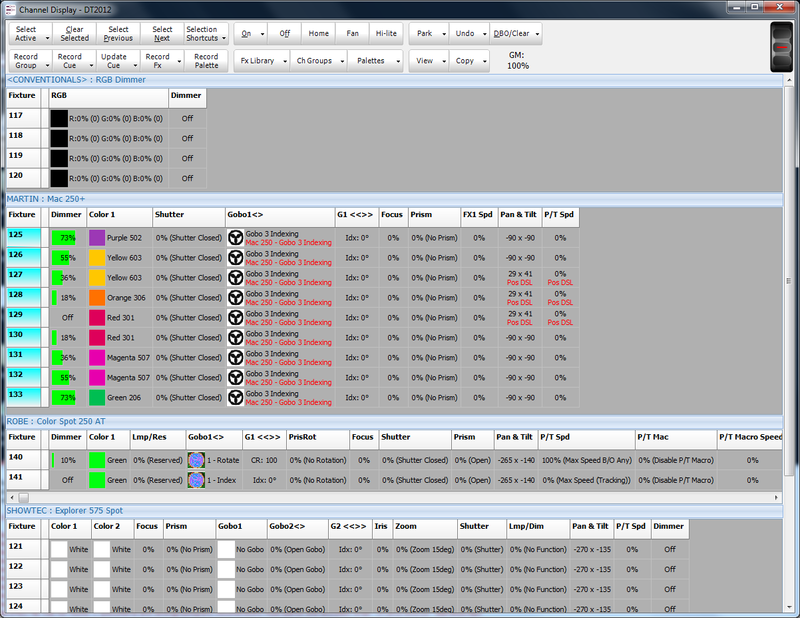 Each fixture patched to the system is displayed by row with the columns displaying the live attribute state. Clicking on any cell in the row will open a helper control to directly set the attribute. Active palettes are shown in red below each attribute. Enhanced security settings have been added for each cue list. This allows you to set what users have edit rights to a cue list meaning users can make and edit their own cue list without risk of other cue lists being changed. From the view menu in the channel display you can choose to open any of the grid views (verbose, compact, character and Intelligent) into another window. This new feature allows you to create multiple views of your channels all with live updates. The "Create View from selected fixtures" option will open a new window displaying only the fixtures you have selected. This allows you to create a view of just a specific group of fixtures. 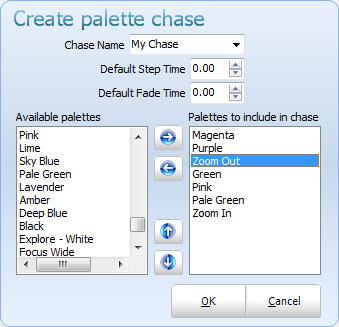 Accessed from the "Rec Effect" menu is a new option for creating simple chases. The "Create a palette chase from selected fixtures" will allow you to select from the palette library what you want in each step. The resulting chase will contain all of the selected fixtures stepping through the selected palettes. 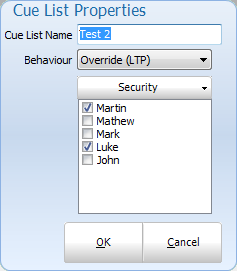 At any time in the cue list window you can choose to view a cue in the visualiser. The visualiser output will be captured to show the selected cue until it is released. 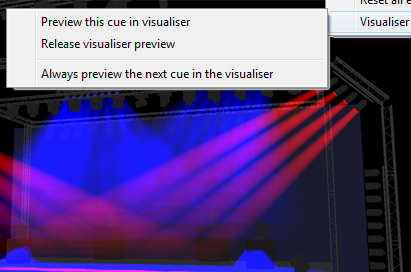 In addition to this feature you can turn on the "Always preview next cue" option so that the visualiser output is always showing what the next cue will be. 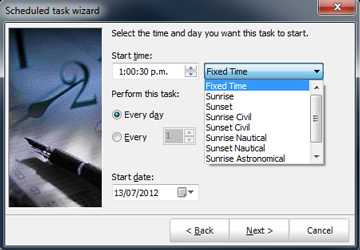 The sunrise and sunset functions have been improved in version 2.10 to include Civil, Astronomical, Nautical times. The setup also allows for applying a GMT offset that is often required for more accurate calculation. Daylight saving time is now automatically applied to the calculation when set in the operating system. When setting up a fixture (LED) matrix you can now set a background image to help you align fixtures to a real world space. 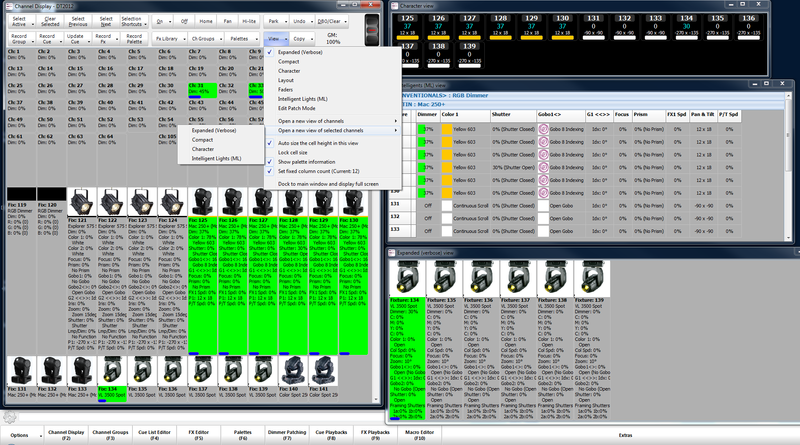 In verson 2.7 we introduced storing the fixture profiles with you LightFactory show to make show files more portable. In version 2.10 we have taken this a step further and now compare the fixture stored with the show and the one in the installed library. If the fixtures are different the user is prompted to choose what fixture they want to us. This will ensure that your show always loads with the correct fixture profile that was intended. 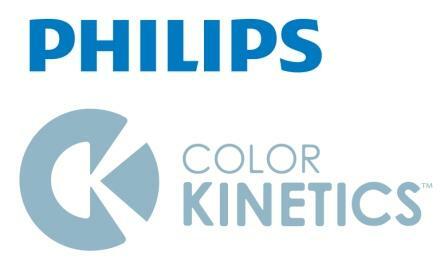 LightFactory now supports the Philips ColorKinetics KiNet Ethernet protocol. This alows LightFactory to comunicate with both version 1 and version 2 KiNet systems.